Specialized enduro for super hard dirt trails. Enduro dirt bike times - read up. Specialized Enduro bikes, and how to use them. Enduro is a type of motorbike racing run on off road courses. The main types of specialized Enduro races will be time based whereby a certain amount of stages will be raced against a clock in time trials. The whole setup of this sport will revolve around this time-based system, and a time card is always used in keeping track of a rider's times between the stages. All riders have to be very careful when arriving at each stage as they will be penalized in case they arrive late or even early for each of these stages. Check out an enduro video which will explain more. Enduro has very specific rules that govern its races. The rules will specify where as well as what types of checks will be placed by the sponsors of the race. The vigilant positioning of checks that are set up to confuse the riders is what will appeal most to the fans. To keep in mind the nature of this sport, an Enduro motorcycle is specialized in fitting certain needs. The bike has a deep suspension and is combined with certain necessary features that are needed for it to be legal for the section of the course that is public road. The specialized Enduro motorcycle is fitted with a taillight/backlight and headlight as well as protective hardware and exhaust system that has to meet the local on-road rules and regulations. The bike also has narrower handles and a wide gear ratio for additional maneuverability. For the past few years racers have incorporated a computer onto their bikes. The computer is a small electronic device that is attached to the bike's handle and is programmed to help the rider through the race. There are pros and cons with using one of these devices which has been disputed by different people that are affiliated to this sport. 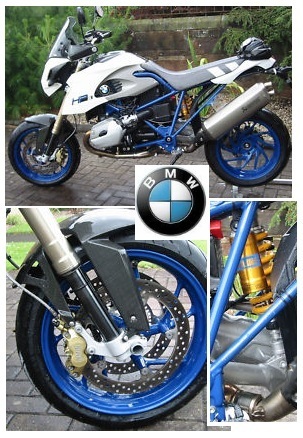 The BMW hp2 enduro - what a bike. This sport is becoming very popular. The World Enduro Championships is held under the auspices of the FIM, the governing body for this sport within Europe. In the USA, the American Motorcycle Association supervises the happenings of Enduro. Additional specialized Enduro events that occur annually are the National championships and the ISDE or the International Six Days of Enduro. The BMW HP2 Enduro is an example of a specialized Enduro motorcycle that was manufactured from 2005 until 2008 by BMW Motorrad. The HP stands for High Performance. This dirt bike is based on the electronics and engine of the R1200GS which is an adventure touring model. A trellis tube frame, together with other modifications that include a conventional fork instead of a Telelever, make this bike 24 kg or 53 pounds lighter than the equivalent R1200GS. 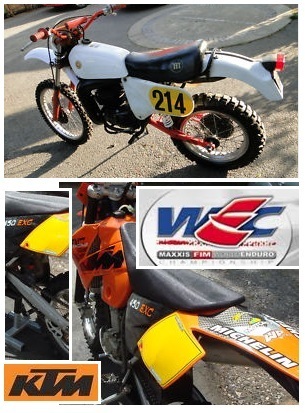 The bike is classed as a dirt bike and has a 1,170cc air and oil cooled boxer-twin engine. It packs 105 hp or 78 kW power at 7000 rpm. The torque is at 75 foot pounds or 102 N.m at 5,500 rpm. It sports a trellis tube frame. The suspension is a 45mm telescoping fork. The weight of the bike is 175 kg or 386 lbs when dry. Related bikes are the R1200GS, the HP2 Megamoto, and the HP2 Sport. Both enduro and the BMW HP2 Enduro is not for everyone, most dirtbikers might not even know what they are. But if it appeals to you - get to it - it's all part of the big world of offroad adventure.